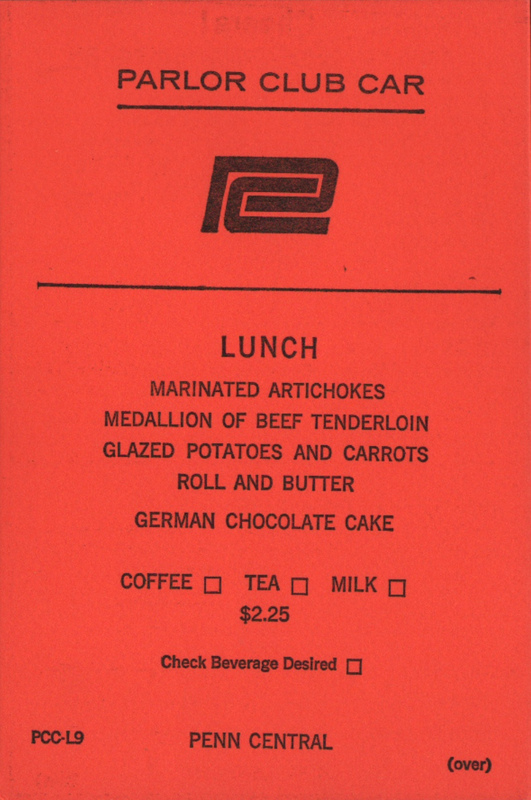 Possibly from the PC train "The Congressional"
Description Penn Central (PC) Railroad Orange Parlor Club Car Lunch Menu though to be from the Congressional Limited on the Boston to Washington line. This menu has a code of PCC-L9. A very nice lunch for the Penn Central era - Marinated Artichokes, Medallion of Beef Tenderloin, Glazed Potatoes and carrots with Roll and Butter, German Chocolate Cake and a choice of Coffee, Tea or Milk and Mints all for $2.25. 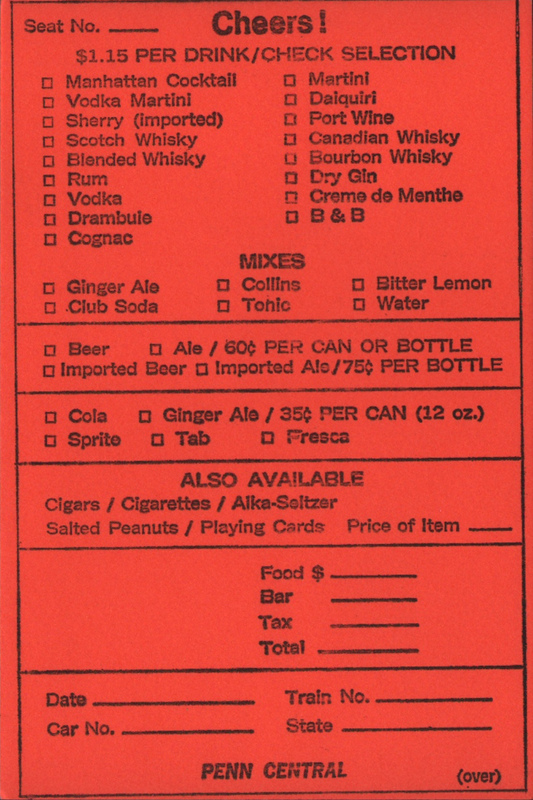 A complete beverage menu is on the back.